There is much anticipation and debate for many Auckland property owners about renting out furnished properties during the Rugby World Cup 2011. Many landlords have stories about early rental enquiries for the event and the possibility of securing great rents. 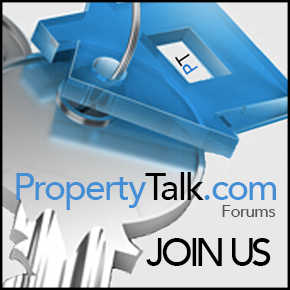 This article aims to identify some pros and cons of renting your properties during this event. As professional property managers we often have property owners that contact us to enquire about either giving their tenants notice so properties are vacant just prior to the event, or alternatively renting out their family homes over this period. Many have been lured by the buzz of the World Cup fever and rumours of easy money and great returns. However, I believe that this potential market is over-inflated and many property owners will find themselves disappointed unless they face certain realities. This RWC market will predominantly only benefit owners of furnished apartments and houses that are vacant at the time of the event. Those landlords who plan to give existing tenants notice to vacate so they can get higher rents for the period of the RWC, must think about the opportunity cost involved. They may secure double the normal return for 3-4 weeks of the tournament but then may also experience a week or two of vacancies prior to the RWC tenancy and the same afterwards before securing new long-term tenancies after the events. These vacancies may wipe out any potential profits and this is before you even think about potential damages to your property from a party who may be in the country for 3 weeks, never to return. In many instances it won’t necessarily matter what legislation governs the tenancies as the tenants are visitors and could be gone before you even notice any problems, let alone take action against them. Landlords need to look at the big picture. The majority of visitors attending the event will surely stay in short-term hotels/motels/hostels and serviced apartments. They will spend most of their time out and about watching rugby and exploring New Zealand. The majority will only require basic short-term accommodation and not large furnished houses. They want to be spending little time on cleaning/cooking so most will opt for serviced accommodation. Many visitors will want to follow teams around the country and not commit to 2 or 3 week tenancies in one location. Although there are many negatives to consider, there will be many landlords that will make the most of opportunities to rent out properties short-term for the event. I expect that some visitors, mainly families, will try and utilise this private market rather than staying in serviced hotels/motels/hostels and apartments. The majority of this market will be made up of private homes (not rental properties). Some visitors will want a base for the event and after the event, for extended stays. For those looking to take advantage of this market, think outside the square! 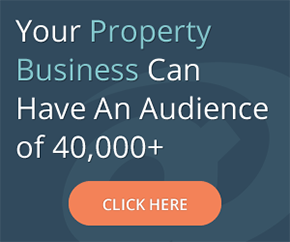 If you want to compete with other property owners then think about offering a rental package for a week or two that includes some of the following, which will help differentiate your property from the thousands of other landlords looking to cash in. A pick-up service from the airport. The most important aspect is that property owners should know who is renting the properties. Deposits and Bonds should be taken and contracts completed stating maximum numbers of tenants, rules and regulations. You may only have one bite at the cherry so if it’s worth doing it’s worth doing well!